So I am dressing like it's Spring, on Saturday I purchased this fabulously flowery Laura Ashley 1980's skirt, it has buttons and pockets, win win and it was £4.50. 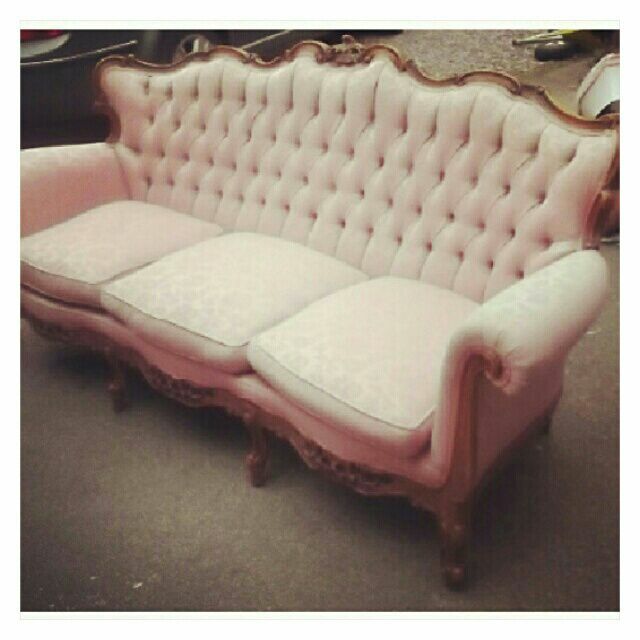 We also bought the rest of our 'necessary' furniture, the pièce de résistance you may have already seen if you follow me on instagram, a dusty pink antique sofa I found it on eBay and put in a best offer, then realised the location of the seller's warehouse wasn't far away. So we drove down on Sunday and ended up buying two wardrobes, two bedside cabinets and a bookcase as well as the sofa for bargain price! This time next week is the big move, I can barely concentrate, I am excited and a little scared of finally being an actual grown up, a grown up who has asked if it's okay if we make dens, stay up all night and watch films and turn the cellar into a cinema. I still need to finish packing! Four more work days to go! Bloody HELL that's an awesome sofa! 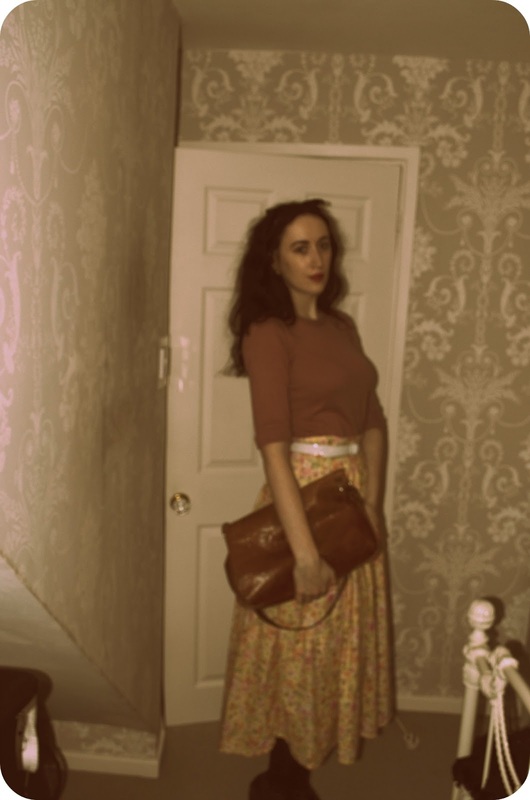 I can see you lounging away there, ina 40's robe, hair and nails done to perfection, being served drinkies......swoon! Best of luck with moving! I've moved 3 times in the past year; I hate the stress, but decorating from scratch is always exciting. Can't wait to see how you decorate your new digs! Thank you, it is a beaut! Aah gosh I have lived in the same home my whole life, such a huge change! Oh! The sofa, your waist, the fabric in the skirt ... Beautiful! Good luck with the move!!! That sofa is a dream. I love all your expressions, and wish you all the best with the move. OH you look lovely! And what a beautiful couch! Congrats on the move. How very exciting. Gasp! I love that sofa, and you are looking beautiful as always!! I love checking in and seeing what you are up to! I wish I could furnish this place with that kind of stuff, but I have to be subtle with it. The Mister loves MODERN (blech) and I have to sort of tip-toe in with my Vicorian-esque furniture finds! That couch is unbelievable!SO, so beautiful, I'm jealous! Thank you, and thanks so much for following! 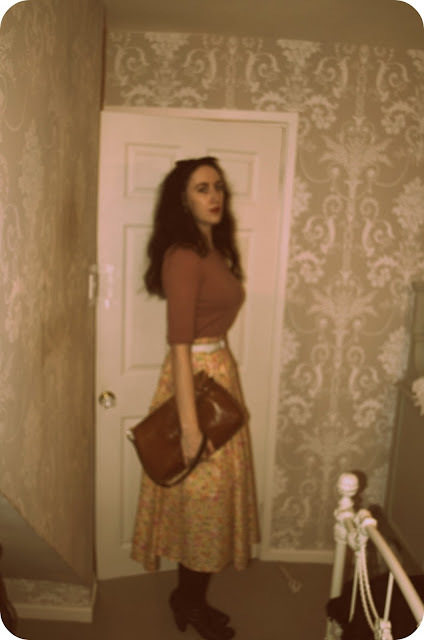 Looking cute, love the vintage feel. letter when connected to your PC you may try with a digital camera card reader. in information to this device to get connected to the Internet. with a quick AMD-E series 2. Horizontal viewing angles are definitely fairly inferior by standard standards, although they're more than made up with regard to by the perfect color production and also contrast provided. We constraint prepare any Mac, finance your Apple Computer or replace virtually chunk Apple part or component reputation almost any apple Mac laptop and desktop pull London, UK. Nevertheless, if you are still willing to buy other refurbished Mac Book Pro other than those that are certified by Apple, then you are free to do so as long as you check the item well. about the Samsung Galaxy Note 2, and the profound interpretation of its major system functionalities. in a single day. This review is focused on the new concepts introduced in the Brink of War expansion. It's unclear from the report, as well, if Google will offer cellular versions of the tablet immediately (last year the company released a wi-fi-only version months before debuting a 3G version). The applications that have been mentioned are readily compatible with nexus 7 device and these apps provide effective health advice. If you already have a Google Gmail account, you can add that easily through your Google account settings. $3,299 with a 24'105mm lens. A Canon Powershot s60 software also comes either for Microsoft Windows operating software or for the Mac operating software, so this means whatever operating software you use, you can be sure that your Canon Powershot s60 digital camera will work great for you. Make sure that the flash units polarities are in the. sales of smartphones will come at the expense of declining cell phone sales, currently 90% of the market.